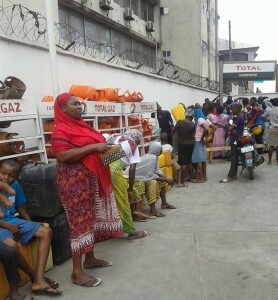 Forte Oil, Capital Oil and Total PLC have started selling kerosene at N50 per litre at their pump stations in Lagos. Dejection. Exhaustion. Fatigue. Exasperating optimism. 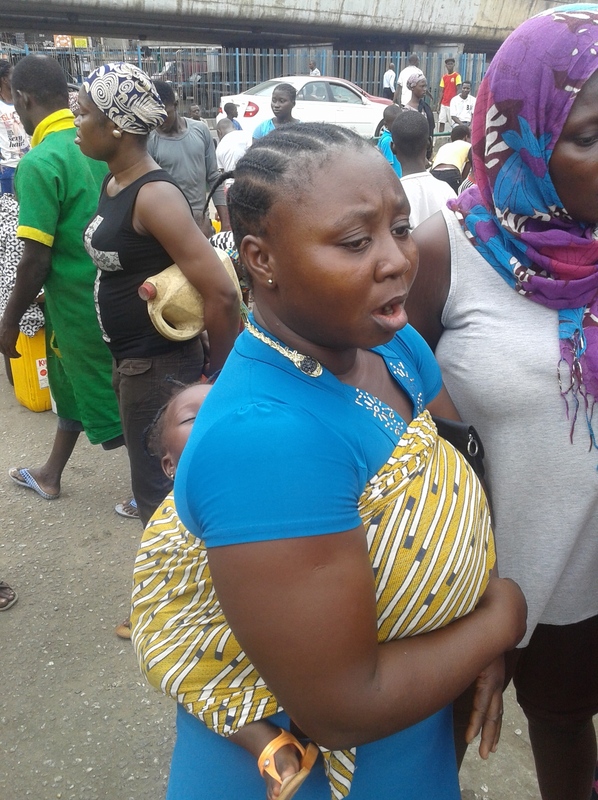 These adjectives and many more are insufficient to describe the expression on the faces of tens of thousands of citizens, predominantly women with babies strapped on their backs, who are stuck at the long kerosene queues in different parts of Lagos. 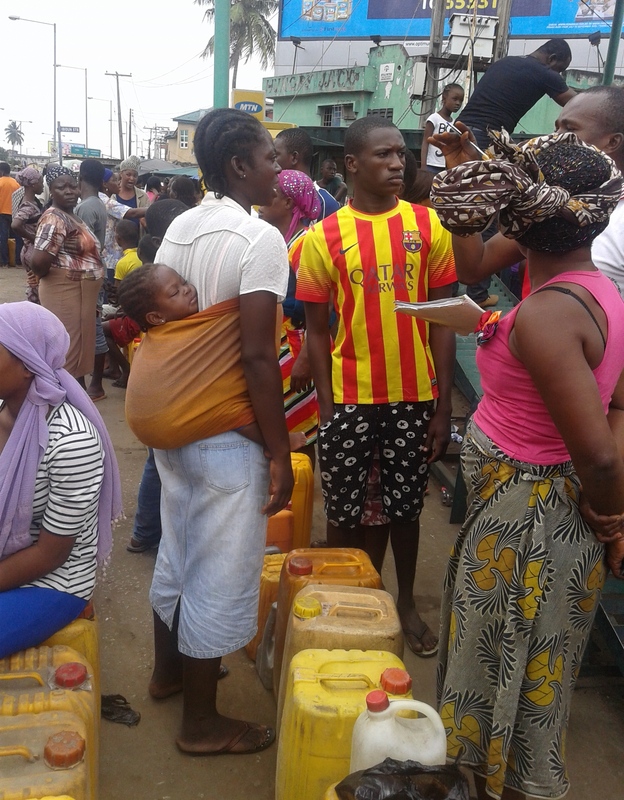 Our team saw a number of women that came to the Forte Oil station at Ojuelegba in Surulere, from distant places like Mile 2, Mushin, Oshodi as early as 5 a.m. on Thursday, September 17. As of 11.a.m., they had not still been able to buy kerosene. They waited. From one pump station to the other, different colours of jerry cans were lined up beside apparently-exhausted women discussing in clusters. Patiently, they stood under the sun waiting, and hoping, even when there was no station attendant to dispense kerosene to them. Productive hours usually spent on petty trading, farming, domestic chores and informal economic activities were lost during the long time spent on kerosene queues. Their resilience was overpowering. Also conspicuous were many children of school age across the pump stations, queuing long-sufferingly for upward of six hours and more, at a time their mates elsewhere in Nigeria, and other parts of the world, were learning in school. 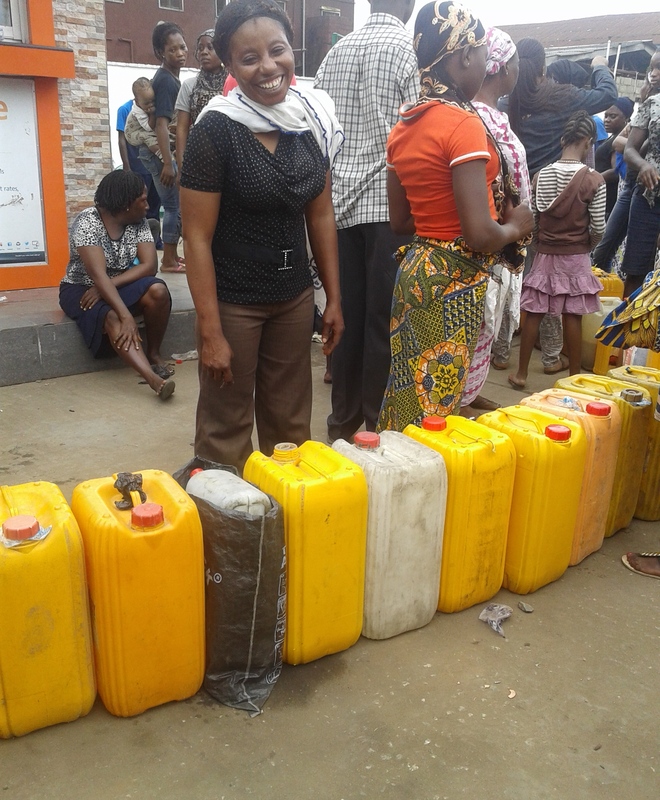 At the Total pump station at Iponri, near Surulere in Lagos, Spaces for Change learned that this is the first delivery of kerosene in four years. They were, however, not sure of constant deliveries of kerosene to their station. Iya Funke and Mrs. Ajara came all the way from Ijero Road, Apapa to buy kerosene at Iponri. They have been waiting on the queue for two hours and five hours respectively. 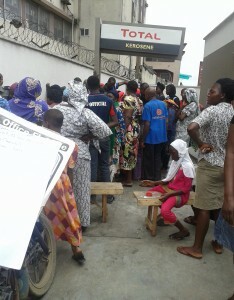 At Forte Oil, Mushin-Ojuelegba Road, the station manager declined to speak with Spaces for Change. 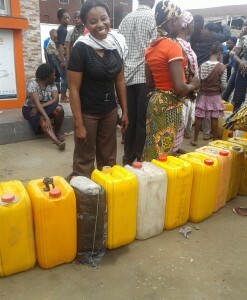 We however learned that the maximum quantity of kerosene a customer could buy is 25litres. There was a notice posted at the pump to that effect. The sales seemed better coordinated possibly because of the presence of corporate security personnel enforcing order at the very long queues. Kerosene consumers came from distant locations such as Oshodi, Mushin, Itire to buy the product. 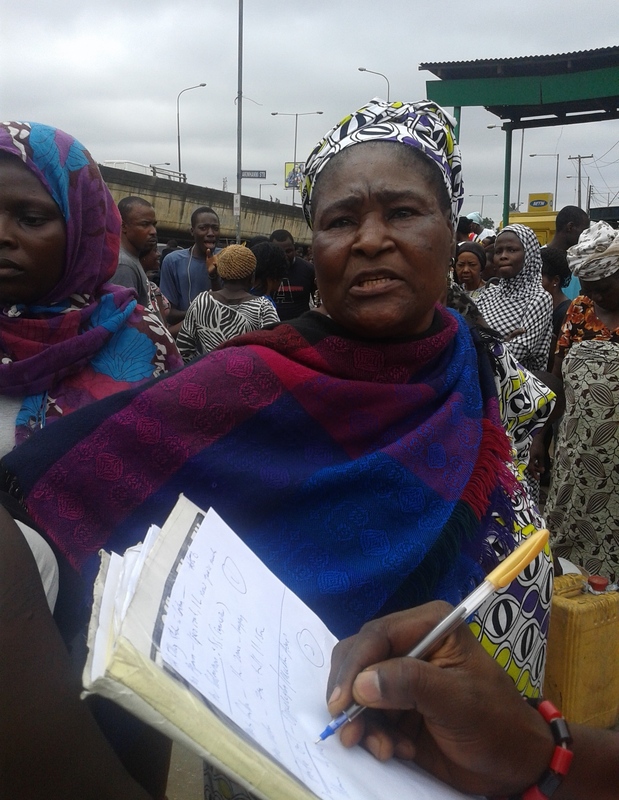 Miss Taibat told Spaces for Change at about 12 noon that she had been on the queue since 4:00a.m., but the station started selling kerosene by 11:00 a.m.